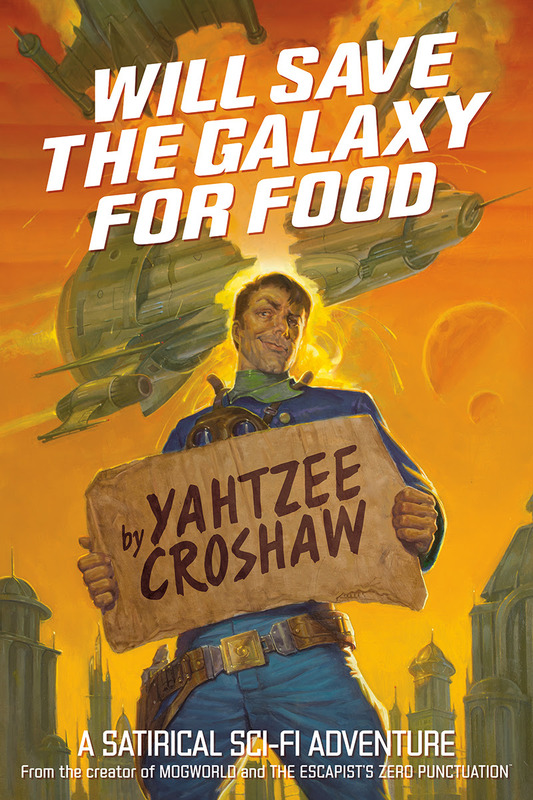 Dark Horse is excited to announce the publication of WILL SAVE THE GALAXY FOR FOOD, written by Ben “Yahtzee” Croshaw (Mogworld, Jam) and illustrated by E. M. Gist (The Strain, Death Head). WILL SAVE THE GALAXY FOR FOOD is a satirical sci-fi adventure that follows a down-on-his-luck galactic pilot struggling for survival. Space pirates, deadly yet adorable creatures, and a missing fortune make this galactic adventure an experience for the ages! WILL SAVE THE GALAXY FOR FOOD goes on sale on February 1, 2017. Yahtzee Croshaw’s previous novels have received much fanfare.